In short order, we found a place to stay, and Friday morning we headed south on I-49, then Missouri 13 to Kimberling City. 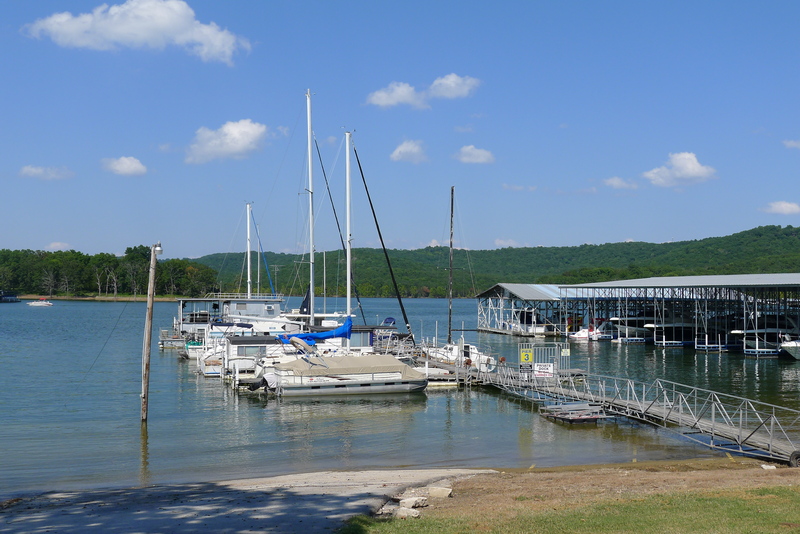 To the best of my recollection, we had been to Table Rock Lake twice previously, but we had never stayed close to Kimberling City, the biggest city on the lake, with about 2,500 people. 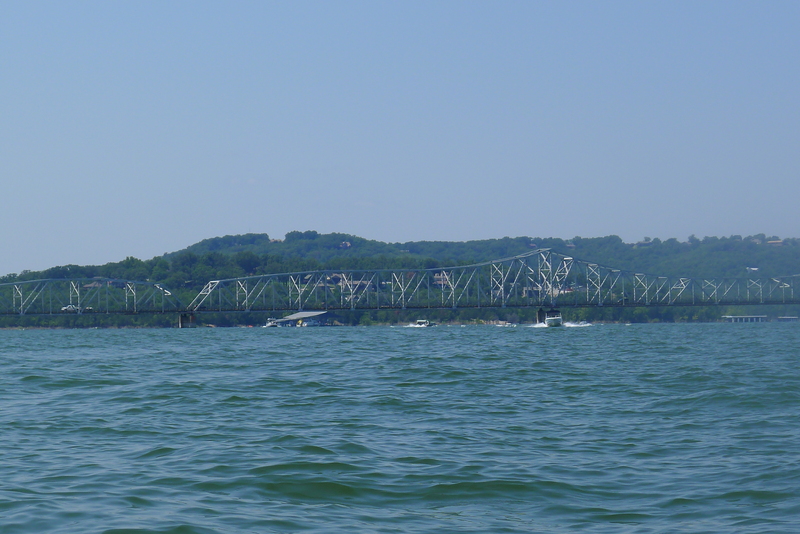 It seems a lot bigger than that during the summer, though, when tens of thousands of people converge on the area and fill the resorts and marinas and launch their boats on the lake, which was constructed by the Corps of Engineers in the mid-1950s. 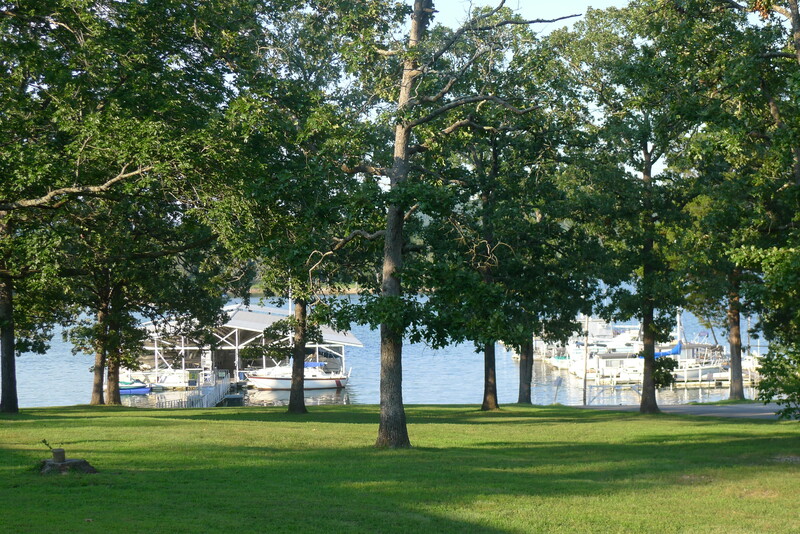 It’s a beautiful place and, because it is a Corps of Engineers lake, it doesn’t have private houses lining the shores. It’s a much more natural and beautiful setting, in my view, than Lake of the Oarks, which is smothered in private homes. 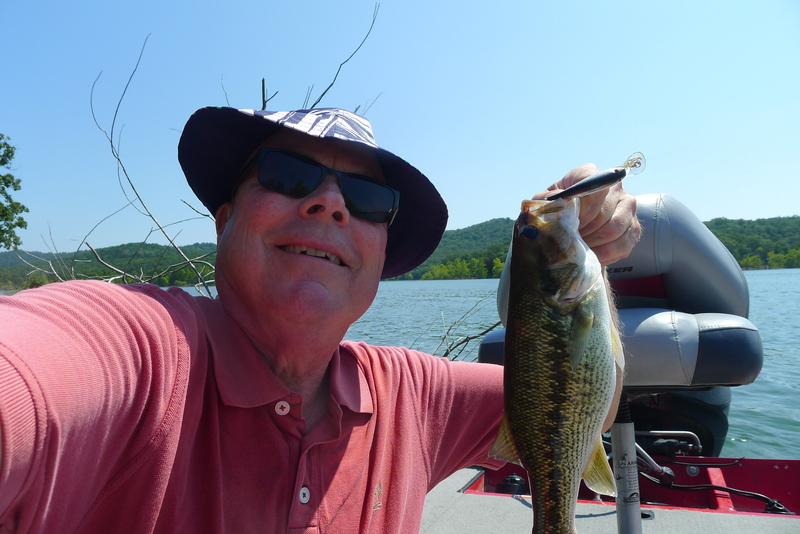 Lake of the Ozarks is a much rougher body of water, too, making it unappealing to people who like to fish in relatively small boats — like me. 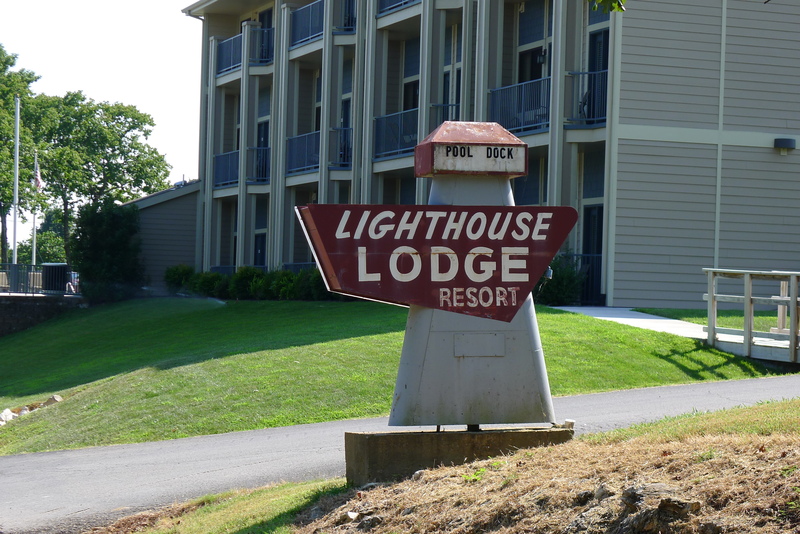 The place where we stayed, the Lighthouse Lodge Resort, was just off Missouri 13 and adjacent to the Port of Kimberling, which bills itself as “Table Rock’s largest full-service marina and resort.” Even though we were next door to the busy “port,” our resort was quiet and relatively secluded. The cabins face the water, and it cooled down nicely in the afternoon, when the sun passed over the backs of the cabins. For the most part, Brooks and Patty swam, took whirlpool baths and relaxed at the resort. Both days I rented a fishing boat from the Port of Kimberling’s “What’s Up Dock” (best name ever for a marina) and fished and gave Brooks and Patty boat rides. The boat had an 80 horsepower motor — the biggest I’ve ever driven — and moved along at a nice clip. 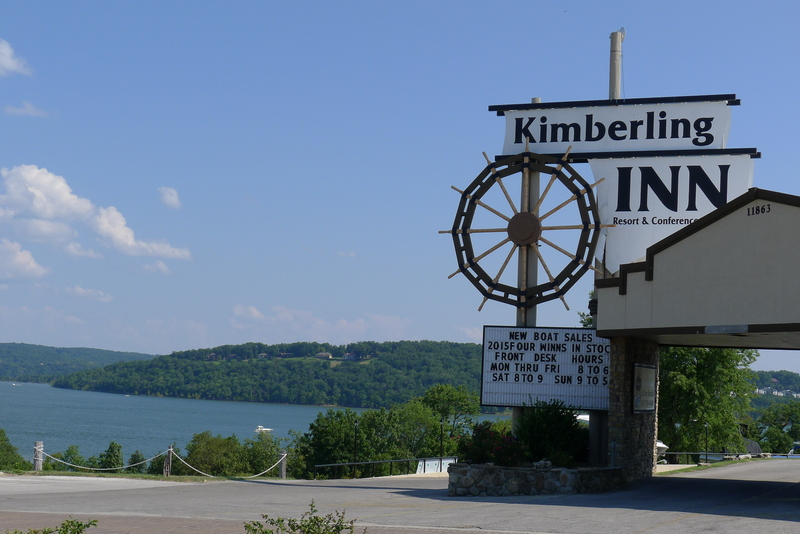 The Kimberling Inn on Missouri 13 affords a nice view of the lake. 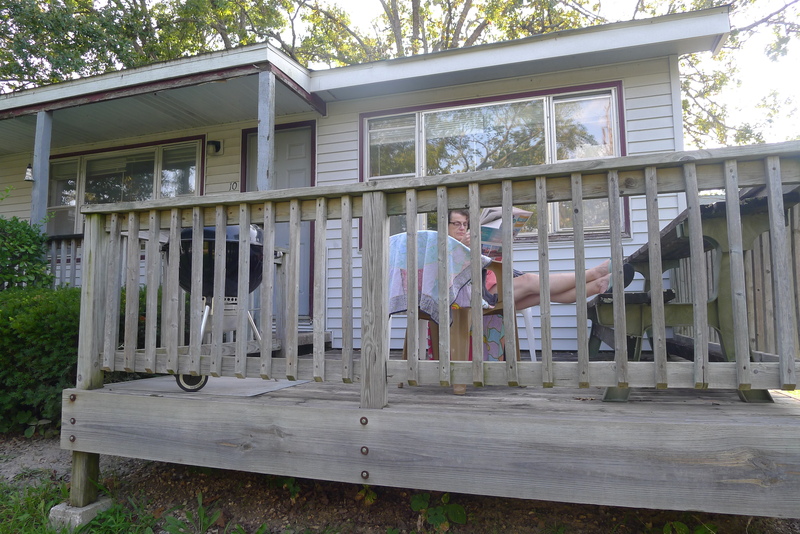 The cabins at the Lighthouse Lodge Resort, where we stayed, sit atop a ridge that slopes down to the lake. We were in No. 10 — two bedrooms, two baths. Our resort has a small dock, but these larger ones nearby are part of the massive Port of Kimberling. 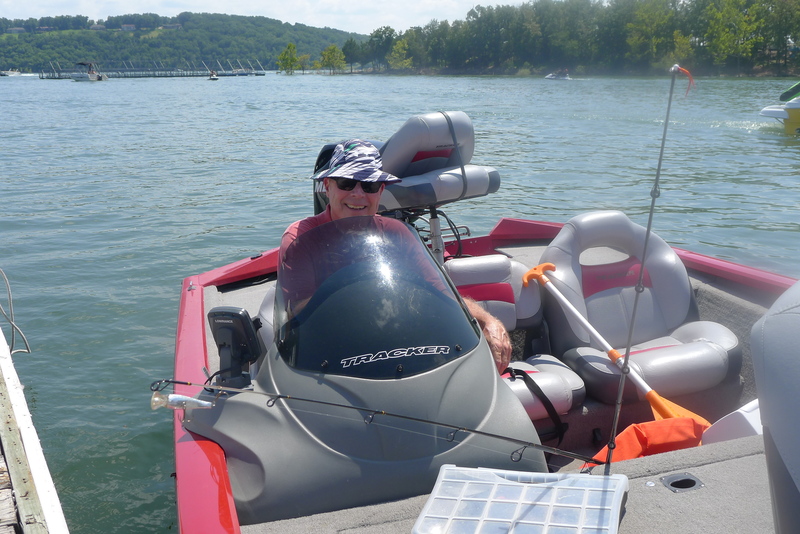 Big powerboats don’t have a monopoly at Table Rock. The Kimberling City bridge — part of Missouri 13. The only reason I photographed this fish is because it was a good fit for a selfie. Until next time, from the Lighthouse Lodge. 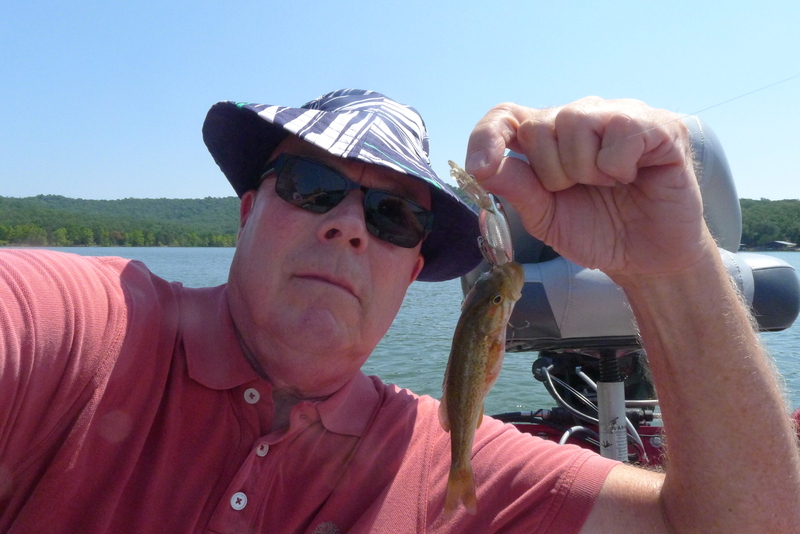 That fish was so heavy I couldn’t hoist it high enough to get its tail in the picture…Now, Gayle, I think you owe me an apology…or I’ll be forced to sue you for virtual damages! Read on Gary Lezak’s FB that he’s headed down there this week; said he’s never been there before, which surprises me. So, you just missed him! 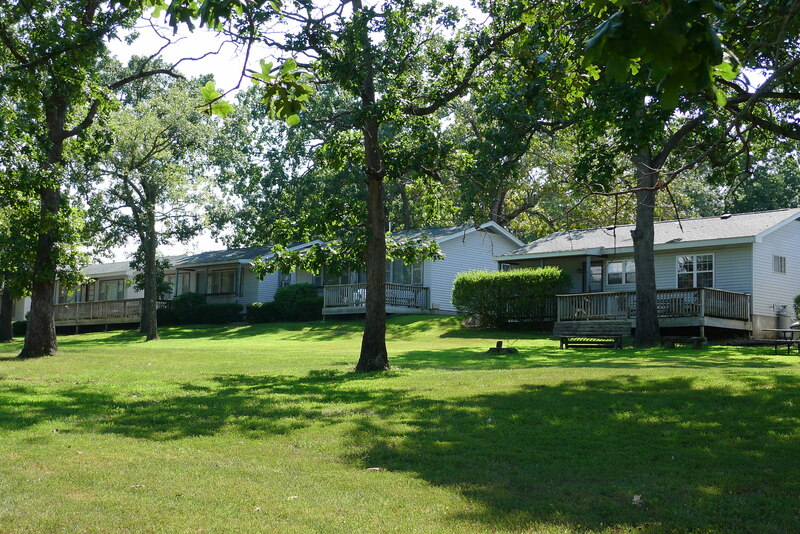 See in “Related” that you’ve also written about Roaring River, another beautiful place. It’s always nice to read about how the other half lives. I hope you’re not talking about me, John. Remember, I was renting a boat. Or was it that you didn’t eat your Wheaties that morning?! Nice fish. Did you saute, broil or grill? Well! You’ll be hearing from my virtual lawyer!! My biggest battle was getting the damn hook out of that fish’s mouth. In truth, that’s why I couldn’t hold the fish up any higher; my arms were tired. I finally got it out, though, and it looked like the fish swam off when I put it back in the water. I hope it survived. I was using lures with treble hooks — hooks with three prongs — which are a pain in every way, especially to the fish. After I told Patty about the problem, she suggested I snip two of the three prongs off the lures and give the fish a fightin’ chance. I did that before I went out Sunday, and wouldn’t you know it, I lost a fish I got on the line. It’s a more humane way to go, though, and makes for much easier and safer handling of the lures…That’s my fish story. Glad to hear you’re a catch and release guy.